Dutty Dancing is the kind of party that really lives up to its name. For the past year, Dutty Dancing has been a night of high energy, ‘dutty’ shaking, to the sounds of new and classic dancehall reggae. Like the Jive Bunny of reggae, South Rakkas smashed out an amazing classic dancehall mega mix at the last party. 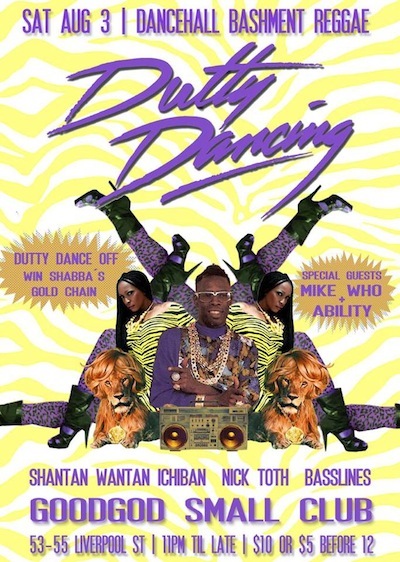 This time, Dutty are backing-up with an all-star local line-up!